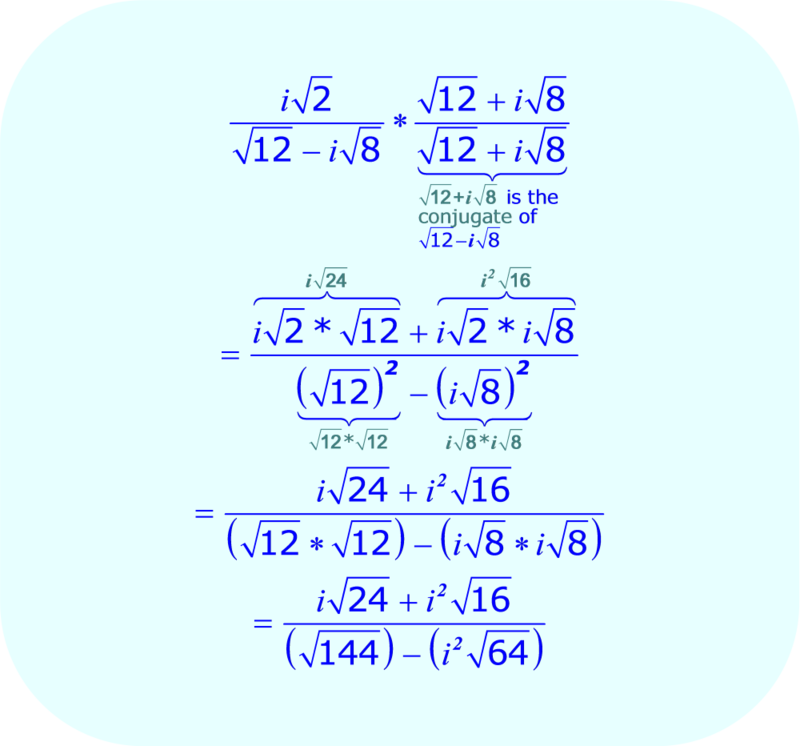 As you know, rationalizing the denominator means to “rewrite the fraction so there are no radicals in the denominator”. You can rationalize the denominator by applying the Difference of Squares formula. 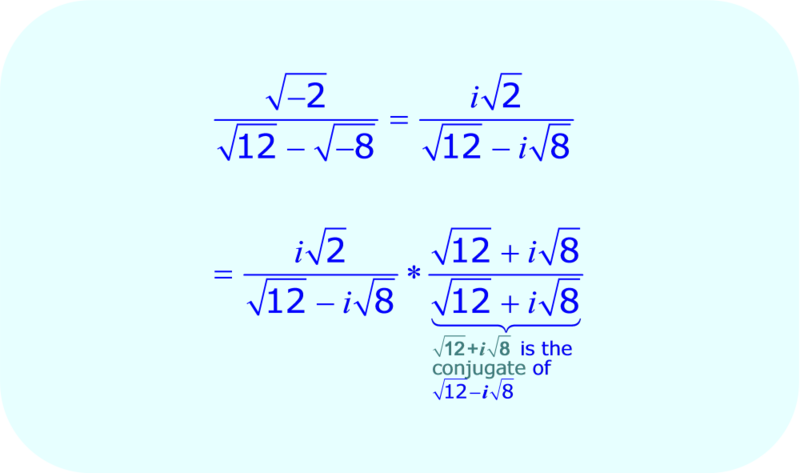 This is true regardless of whether the denominator contains complex numbers or not.